Give it time! Like any respectable addiction your ability to make an insane amount of purchases will often happen quickly and be almost unnoticeable until you come up for air a few years later and realize you already have several times the amount you once thought was impossible! ...other times a little sanity is worthwhile. I had a goal of making a large enough system to play live with several voice parts and more than two sequencer lines. At the time I was multi-tracking things and was dissatisfied with my method. It took about five years to get there but the rest of the system growth has been excessive (I'll admit) but fun. Go slow and be patient. It can happen if you want it and do it responsibly. (no use of credit is my governor). Never let your dreams die! Those nice angled ceilings are perfect for mounting a few more racks to. You are wasting so much space. 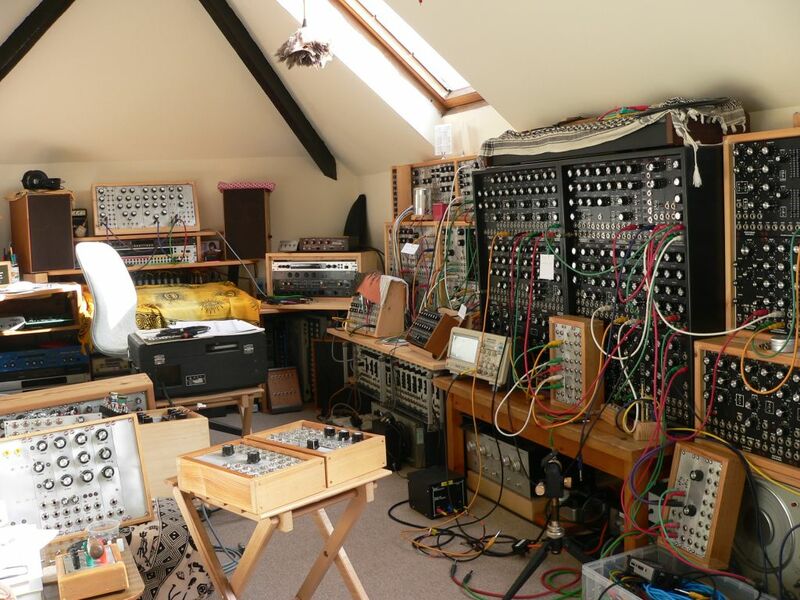 3 of those to one small Buchla. 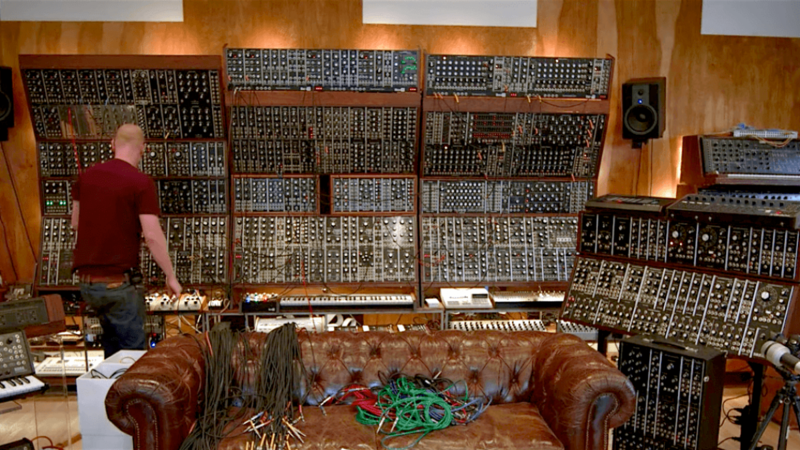 "Hey, I coulda had a Buchla!" I am getting perilously close to the "unaffordable" 110. 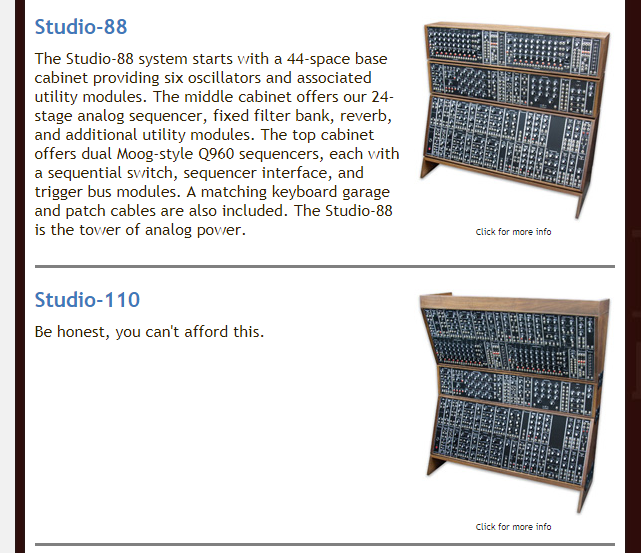 An 18-space Buchla 200e will run you close to 2x the price of the Studio 110. Different strokes and all that. started out.. 'oh I will just build a 44 space cabinet' ... built a 110 cab..
building another another 22 space shelf..
yea.. that will turn into a 44.. I'd decided I'd 'finished' last November. When I say finished, I think 'equilibrium' is a more precise term - all my modules were sat in cases with no spaces, nothing half built and nothing in the queue. Washers. The guy who sold me the brackets didn't include any. The Home Despot only seems to sell them 3 pcs. at a time, no way. So it's another shopping trip in the offing. A bit of a shame that an out-of-stock $3.00 pack of washers can hold up this (considerably more expensive) project but "for want of a nail" as the old saw has it.